2 x Bfree quinoa & chia seed wraps cut in half then cut into triangles. 1 Place the cut wrap on a baking tray lined with grease proof paper. 2 Spray the triangles 3 times on one side and 3 times on the other and sprinkle with a pinch of rock salt. 3 Then place in a pre-heated oven on 180c/350f/Gas 4 for 5-8 minutes or until it has a light brown colour and have crisped up. 4 When they are done, remove from oven and allow to cool down. 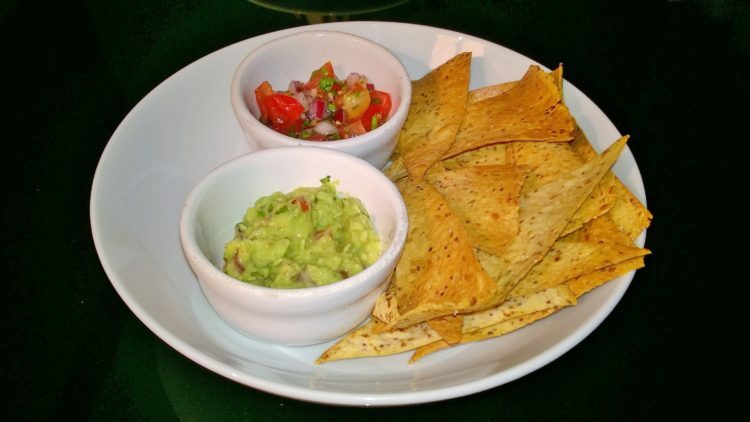 5 When cooled serve with tomato salsa and guacamole and enjoy! Tip: You could replace the quinoa and chia seed wraps with corn wrap or try a sprinkle of smoked paprika for a spicy alternative.